Congrats to Nick Mitchell who won the bottle of Old Rip Van Winkle 10 YR on March 27. If you missed the drawing you can view the video here. On April 24, we'll give away a bottle of Van Winkle Special Reserve 12 Year Bourbon LIVE on our Facebook Page. The drawing takes place at 9pm EST. Good Luck! As I put Glass 40 upon my lips, taking in an assortment of fruit, caramel and roasted nuts, I noted the words,“delicate” and “complex.” This was extraordinary bourbon whiskey; and yet, I told my friend and fellow judge Max Solano there’s no way this could win it all. The San Francisco World Spirit's Competition showcased the world's best spirits and it was a battle for Best Whiskey this year. Glass 40 had a shot. “Why not? It’s brilliant,” he said. We were preparing to anoint the Best Whiskey at the San Francisco World Spirits Competition. Since 2012, I’ve had the distinguished honor of serving as a judge and captain here, tasting alongside the world’s best palates. Only once in the competition’s 19-year history has a bourbon won Best Whiskey, which was why I genuinely doubted that this one, despite its beautiful nature, could defeat the bold and rich Scotch. Over the years, I’ve seen bourbon continually lose to Irish, Scotch, Japanese and even rye whiskeys—all of which are great in their own ways. But as my heart is in bourbon, I always vote bourbon. And Glass 40, I believed, was the best whiskey on the table. Would my fellow judges agree? 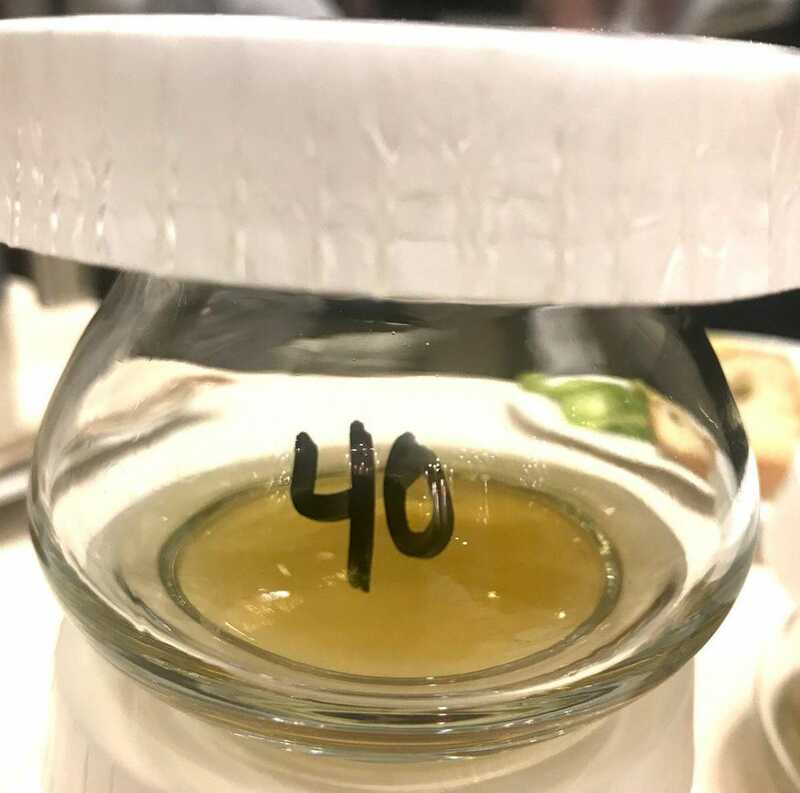 Would Glass 40 be the second bourbon to win it all? The San Francisco World Spirits Competition is the world’s largest, with entries and judges from all over the world. More than 40 judges are split among tables or panels, while wonderful volunteers cart more than 3,000 spirits to the panels. We wear smocks with name tags and are asked to not wear perfumes or colognes, to prevent somebody’s charming scent from throwing off another judge’s nose. Imagine trying to take in the aromatic properties of a 25-year-old Highland Scotch while your buddy’s Brut Cologne is just overpowering you. The competition exclusively uses the Neat glass, and every table will taste a variety of spirits. We taste everything blind, meaning we know not what we are tasting. We are given proof, age statement and barrel information if it’s notated on the label, but we do not know the brand. We are allowed to ask our pourers questions. For example, if we suspect something is in the wrong category, we can ask them to validate the spirit is indeed in the right class. We assess the spirit by the glass, considering each one for a bronze, silver or gold designation. This is what makes San Francisco unique and is why you might see a lot of medals from this competition: As judges, we must analyze the spirit for its category. If it meets basic expectations of that category and is good, more often than not a judge will bestow a Bronze. If it’s very good, I’m likely to award it a Silver. And if it’s great or excellent, I will give it a gold. We also do not give out actual medals, but these are not widely publicized, as who wants to brag about not winning anything? When every panelist at a table awards Gold to a glass, the product earns a Double Gold and can then go on to compete for best in its class, such as Small Batch bourbon. The panel stage is also a debate, with judges jockeying for what they want to win. Frequently, there will be intense, yet respectful, discussions over the merits of a product. For example, this year, Solano and I were at odds over the Lowlands whiskies. One was bright, full of honey and beautiful. My other panelists—longtime spirits writer David Mahoney and longtime brand ambassador Tony Devencenzi —agreed with my take. But Solano wouldn’t budge, blocking it from getting a Gold. That was Bladnoch 'Talia' 27 Year Old Bourbon Cask Finish Single Malt Scotch. Our panel was perfect. Just enough discourse for proper checks and balances. And when we really liked something, our notes were in unison. In the Special Barrel Finish bourbon category, we all had the same thought—barrel finishes have gone too far. We were tasting things finished in more than one barrel and they were so far away from bourbon that they took a wrong turn. After tasting a sherry finished one, Mahoney noted, “it tastes more like Macallan to me than bourbon.” And so when we all tasted a bourbon finished in a honey barrel, meaning the barrel once actually stored honey, we were all delighted to vote it to Double Gold and send it on to compete for best barrel finish. While you could taste a hint of honey, the product was clearly a flavorful bourbon, shining with notes of nutmeg and cinnamon. I loved it, but Belle Mead’s Honey Barrel finish didn't have the legs to compete for Best Bourbon. Still an exceptional, highly recommended product, though! My panel also tasted vodkas, flavored vodkas, gins, rums, Scotch, tequilas, craft whiskeys and brandies. Of all these, I was the most disappointed in the brandies. For most of them, it was like somebody poured an entire box of sugar in the glass. They were far too sweet. So, when Glass D came in a Spanish Brandy flight, assuredly unadulturated and layered in flavor, Tony blurted out, “I want this in a big snifter with a steak and cigar.” We gave it a Double Gold, and Torres 20-year-old later won best Spanish Grape Brandy. We did get an incredible Campbeltown flight that wowed me to my core. The glass I later learned was Glen Scotia 25-year-old was one of the most complicated whiskies I had in this competition, but it was far too subtle to stand up to its bolder Scotches. But the interesting story of my table was the bourbons. In Straight Bourbon flight 9, we were wowed by Glass D, a 58.5% ABV 7-year-old that was loaded with chocolate, marzipan, graham cracker and pie crust. It was delightful; we Double Golded it and sent it to complete for the next round. We did the same for Glass F, a 100 proof 10-year-old with a single note from me: “beautiful and walnuts.” Sometimes you are tasting so much and processing these glasses so quickly that you focus on one note. And for this glass, we’re talking about walnuts! As we concluded our two day panel, we left on a high note, knowing that we sent forth some great bourbons, brandies and more. From our panel, we selected what ended up winning Best Craft Distiller Whiskey—Rogue Rolling Thunder Stout, which was a beautiful expression and exemplary study of the spirit of craft. We also selected Best Reposado Tequila (Vikera Tequila), Best Flavored Vodka (Dixie Black Pepper Vodka) and Best Straight Bourbon (more on that later). Now, funny story on the vodka- while my panel analyzed several flights of that spirit, I didn’t taste any of them. My literal plane flight was delayed and I missed the vodka tasting altogether. A coincidence? I’ll never tell. But I can tell you this, my whiskey palate was sharp and I was eager to taste the very best. Following the panel rounds, the best from each table are then sent on to compete for Best in their class, such as Small Batch, Straight Bourbon, Single Barrel, etc. When there’s a plethora sent forward, a group of Super Tasters will narrow down the field, so we are not assessing 15 contenders for Best Straight Bourbon. We had eight Straight Bourbons to assess, and it was a murderer’s row of goodness. Glass 3, a complex beast with nuttiness, shined for me, along with glass 4, a marzipan bomb with hints of vanilla. I found Glass 7 to be the fruitiest with great nuance, but my colleagues disagreed and W.L. Weller 12-year-old did not go on to compete for Best Straight Bourbon. Glass 4 won Best Straight Bourbon, narrowly defeating the bourbon we later learned was William Heavenhill 6th Edition. I also super tasted the rye whiskey, which unlike bourbon, is not unique to the United States. So, narrowing down ryes from all over the world was my first introduction to the rye at this year’s competition. I loved one rye in particular. It was nuanced with spice and hints of sweetness, but my colleagues didn’t agree. Pikesville was just one vote away from winning best rye. But that’s how these things go. It’s a democracy. We vote. The one you love may not always win, and that’s okay, because we respect one another and know that the winner usually has support of your colleagues behind it. We are also only human and must condition our palates to take on the brunt of these spirits. While we spit—consuming all these spirits would be deadly!—we must keep our palates tuned and, for me, soda water is the perfect palate cleanser. I swished a few times during the ryes. For whatever reason, rye whiskey took a toll on my palate this year. Perhaps they shocked my palate after a day’s worth of bourbon. Fortunately, it was my final tasting of this day. Sagamore Rye’s Port Finish won best rye. Also in the running were New Riff’s Bottled-in-Bond Kentucky Straight Rye, King’s County Empire Rye and Glennavyn Novia Scotia 12-year-old Rye. New to the competition scene, Northern Kentucky distillery New Riff also earned Double Gold in the single barrel bourbons, with a shot to win Best Single Barrel. Buffalo Trace distillery’s Elmer T. Lee and E.H. Taylor were also in the running for Best Single Barrel, but these all fell to one of the most delicious whiskeys I’ve ever tasted in competition. Nonetheless, if New Riff is not on your radar, you need to follow them. They’re one of the most exciting new distilleries in the world. The finals are always a bittersweet ending for us. The judges are all friends, and this is the day we part. Our bags fill up corners of the meeting room, seemingly enough rollerbags to fill a Boeing 747. We hug one another like old time friends. Laugh and even say “I love you, man,” as we say goodbye. Because we’re all such good friends, it doesn’t feel like work. But it is indeed a job, and we are paid to select the best. We are greeted by numbered glasses and a sheet outlining the categories we must vote on. It begins with vodka, gin, aquavit, tequila, baijiu and more. After selecting the best of those categories, we pick Best in Show for clear spirit. This was really a three way race and baijiu, a Chinese spirit from grain, had a real shot. I’ve generally been dismissive of baijiu even as the Western world becomes more interested in it. But this product changed my mind. It had the funk of a Jamaican rum and spice of a good unaged rye, with a peppery note you find in tequila. I quite enjoyed it and voted for baijiu for the first time in my career. Kinmen Kaoliang Liqour came in third, losing to the beautiful Arctic Blue Navy Strength Gin, the winner, and the runner-up, Norden Aquavit. After plowing through the tequilas, mezcal and rums, I was ready—eager, really—to select Best Bourbon. For this honor, it was really a stylistic battle. Glass 32 won Best Straight Bourbon from the super tasting, and it was big, bold and demanding of every inch of your palate. It stood ready to take on the Best Small Batch. In pursuit of Best Small Batch, Redemption Wheated Bourbon (Best Small Batch up to 5 years old), Barrell Batch 18 (Best Small Batch over 11 years) and Traverse City Bourbon Full Proof (Best Small Batch and Best Small Batch 5 to 10 years old) all fell to the Single Barrel. The Single Barrel, Glass No. 40, though, just knocked over the Best Straight Bourbon, Old Ezra Brooks 7 years old (which won my best everyday whiskey last year) along with the Best Small Batch, Barrell Bourbon Batch No. 18. 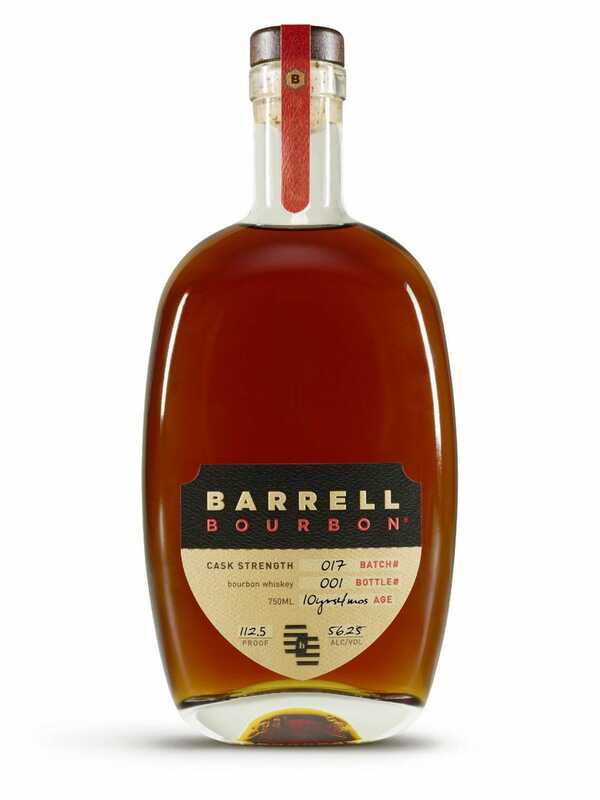 Barrell Bourbon Batch 18 was in the running for Best Bourbon. It won best Small Batch for over 11 years old. After the vote for Best Bourbon, I applauded. It’s a weird tradition we have: When we vote for something we truly love and it wins big, we applaud, as if the glass can hear us. But keep in mind we drink for a living, so we may not be right in the head. Who claps for a bottle of whiskey? Ok, moving onto the fate of Glass 40, it faced big competition for Best Whiskey. Canadian whisky didn’t even have a glass for consideration in the finals, so it was not a good year for them, while rye likewise posed no threat. It was the Irish, Scotch and Other whiskeys this year that really offered the Best in Show quality causing me to think bourbon didn’t have a shot. While I liked Glass 66 a lot, I found Glass 49, Best Other Whiskey, to be a touch more vibrant and stood out more on my palate. I had no idea what it was, so when I learned I preferred Westland 5th Annual Peat Week Single Malt Whiskey over so many others, I was enthused. Westland is a rising star distillery not just for the United States, but for the world. They are doing great things in whiskey, but they didn’t have the votes for Best in Show… this year. Also without enough votes was the Best Irish Single Malt—Jack Ryan Toomevara 10 Year Old Single Malt Irish Whiskey—but damn, it delivered some nuance. So, it came down to Glass 40 vs. Glass 66. The Best in Show Whiskey was American vs. Scotland, New Age vs. Old World and bourbon vs. single malt. I had been here before: Hopeful that a bourbon could defeat a mighty and very tasty Scotch, only to see a death blow of hands rise for Scotch over bourbon. So, when the vote was called for Glass 40, I looked down, raised my hand, and just kind of expected only one-third of the room to vote for bourbon. Nearly every hand was raised. My heart was beating through my chest. Could it be? Was this about to happen? When Glass 66 came to the vote, I was nervous. In the finals, we can vote for as many as we want, so a bourbon lover could also vote for Scotch here. If it had the same amount of votes, Scotch would force a runoff vote and judges could only vote once. As the hands were counted, Glass 66, otherwise known as BenRiach Temporis Aged 21 Years Single Malt Scotch, had eight fewer votes than Glass No. 40. For just the second time in the competition’s history, a bourbon won Best in Show for whiskey. When Glass No. 40 was announced as the winner, I screamed, hooped and hollered. For years, bourbon’s played second fiddle in the blind competitions. Not anymore. 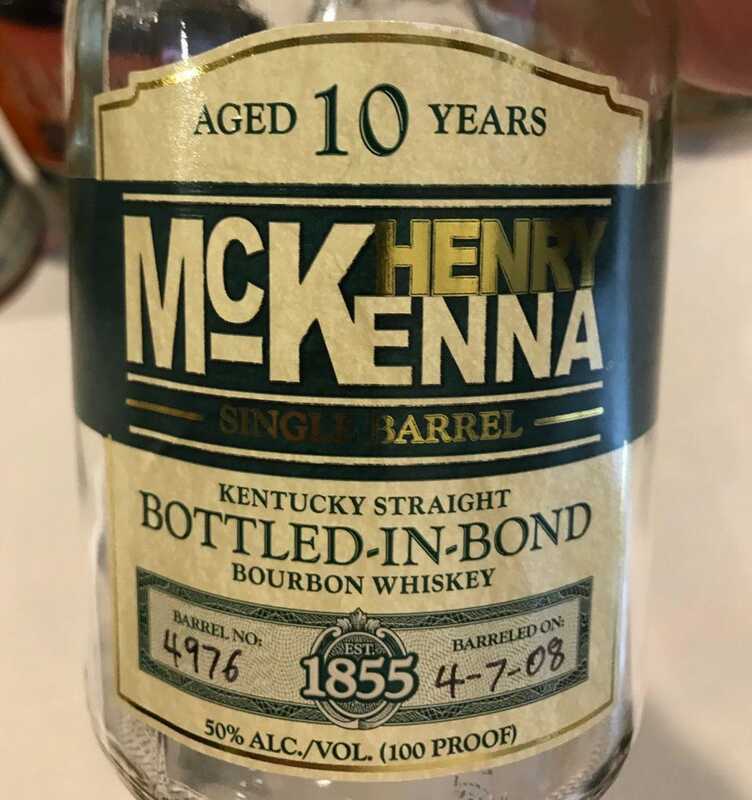 Henry McKenna 10-year-old Bottled-in-Bond, a 20,000-case bourbon for $30 a bottle, won San Francisco’s Best Bourbon last year. And now, Henry McKenna is the world’s best whiskey. Heaven Hill, McKenna's distiller, also made the other bourbon that won the competition in 2009--Parker's Heritage Collection. Henry McKenna Bottled-in-Bond won it all. For me, this victory is more than just bourbon. The man who would have distilled this 10 years ago was the late great Heaven Hill master distiller Parker Beam, one of the greatest bourbon distillers of the past century. When he died of ALS in 2017, we lost one of our greatest, and bourbon hasn’t been the same since. Fred Minnick is the author of Bourbon and editor-in-chief of Bourbon+ Magazine. Follow him on Instagram and YouTube. Subscribe to his free drinks newsletter. The calendar is about to turn over to a new month, and there will be plenty of new whiskies to look for as spring continues to blossom. First up, Bulleit 12 year old rye is already on shelves in a number of states, priced at $50. The first age-statement rye from Bulleit uses the same mashbill and distillery source (MGP) as regular Bulleit Rye. Buffalo Trace announced that it will release a limited quantity of a new, high-proof Weller in June. Weller Full Proof clocks in at 57% ABV (114 proof), the same proof at which it goes into the barrel. Available annually, the suggested retail price is $50. Meanwhile, Canada is finally sharing one of its best whiskies with its southern neighbor. Gooderham & Worts, a blended four-grain whisky, is now available in the U.S. for $45. A single malt whisky from Belgium is hitting shelves this spring. Gouden Carolus is made by the same family that owns Het Anker Brewery (which is why the name might sound familiar to Belgian beer fans). It’s priced at $65, with 2,400 bottles initially available. Nashville’s Pennington Distilling Co. has unveiled Davidson Reserve Tennessee whiskey. Aged for four years in full-size barrels, the whiskey is for sale in the Nashville area for $40. Westland Distillery is up to its usual April Fool’s Day shenanigans, releasing a single malt whiskey called Celebrious that spoofs the trend of celebrity whiskies. It’s available in limited amounts for $100, for sale at the distillery only. It’s not a celebrity whiskey, but in that vein, there’s a new whiskey for fans of TV show Ray Donovan. The Fixer blended whiskey comes from the same company behind the Star Trek bourbon and scotch and Predator-themed bourbon. It’s available for pre-order now ($40), with orders shipping in June. Finally, there are a couple of new, limited-edition whiskies from UK blender Gregg Glass, a Compass Box alumnus. The Glaswegian 29 year old (£130), is a single grain whisky from a closed distillery while King of Trees (£75) is a blended malt finished in casks made of Scottish oak. The whiskies are the first in Glass’ The Whisky Works series, which focuses on experimentation. For now, it looks like the whiskies will not be available in the U.S. Availability: AZ, CA, CO, GA, IL, KY, MA, MD, NJ, NY, OH, OR, TX, and Washington, D.C. The second rye in Bulleit’s lineup, this whiskey is made with a 95% rye mashbill and aged for 12 years. Like Bulleit Rye, it was distilled at MGP Distillery in Indiana. Bulleit’s bourbons are made in Kentucky, although nothing that’s currently in the bottle was made at Bulleit Distillery, which opened in Shelbyville just two years ago. That will change over time, as the bourbon matures. The brand’s rye, however, will be made at MGP for the foreseeable future—unless, of course, parent company Diageo’s planned mega-distillery includes some capacity for distilling Bulleit rye. Buffalo Trace Distillery is adding a “full proof” version of W.L. Weller. The wheated bourbon is filled into barrels at 114 proof (57% ABV), and this bottling clocks in at the same level. “Full proof” isn’t a regulated term, but here it’s being used to indicate that there is no change in the alcohol level from the time the barrel is filled until it’s bottled. Does that mean there’s no fluctuation in proof as the whiskey matures and loses volume due to the angels’ share? Not really—it’s basically a given that a barrel of whiskey will undergo change in proof during its maturation. Sometimes, the proof goes down—this is almost always the case in Scotland, for example, where the relative humidity of the environment means alcohol evaporates more quickly than water. Other times, when the maturation environment is dry and hot, the water is quicker to evaporate, causing the whiskey’s proof to rise. This is how you can end up with bourbons like Stagg Jr. achieving proof levels that exceed 62.5% (125 proof), the maximum proof at which whiskey can enter the barrel. So in the case of Weller Full Proof, Buffalo Trace likely mingled a batch of barrels at varying proofs, some higher than entry proof, and some lower, and then added water to get back to 114 proof. Previously available only in Canada, this whisky is now for sale in the U.S. A blend of corn, rye, wheat, and barley whiskies, it’s made at Hiram Walker Distillery in Windsor, Ontario. The good thing about whiskies that are technically not new, but new-to-the-U.S., is that they’re often already reviewed in the Whisky Advocate Buying Guide. Gooderham & Worts is no exception, having scored 90 pointsin 2015. Availability: 2,400 bottles in the U.S. If the name Gouden Carolus is familiar to you, that’s because it’s also the name of a beer made by Belgium’s Het Anker brewery. This whisky was distilled from its tripel mash (meaning it has three times as much barley as a lager) and aged in ex-bourbon barrels before being finished in custom casks that previously held wine and then were scraped and charred. No hops were included in the mash, making this a true single malt (using just malted barley, yeast, and water). The whisky is bottled without chill-filtering. The late Dr. Jim Swan, who consulted for dozens of single malt distilleries around the world, worked with Het Anker from the start. The distillery’s use of scraped and re-charred casks is surely thanks at least in part to Swan’s influence, as he pioneered the method known as STR—shave toast rechar. Look for a review of this single malt in an upcoming issue of Whisky Advocate! The first Tennessee whiskey from Pennington Distilling Co., this is made with a mashbill of 70% corn, 25% rye, and 5% malted barley. It was aged for four years in 53-gallon barrels. Like all Tennessee whiskeys, it goes through the Lincoln County Process. We often get asked what the difference is between Tennessee whiskey and bourbon. Both styles have to be made to almost exactly the same standards, after all, with Tennessee whiskey’s main differences being its place of origin and its use of maple charcoal filtration, aka the Lincoln County Process. If you still aren’t clear about the distinction, let Jeff Arnett, master distiller for Tennessee’s biggest whiskey brand, explain it to you. Although Celebrious is a single malt whiskey like everything that Westland makes, it is a special blend with a distinct flavor profile. Westland’s past spoof releases include last year’s Sport Dram and Boldsmooth, a “quadruple-quadruple” whiskey. TV character Ray Donovan is a “fixer,” and now you can be too—at least, a fixer of drinks. This sourced, blended whiskey is named for the character played by Liev Schreiber. There’s no information about it available, other than that it’s produced by Terressentia Corp., which sources whiskey from a number of U.S. distilleries, typically finishing it with its ultrasonic-wave process, and bottling it for various brands. This whiskey comes from Silver Screen Bottlings, the same company behind James T. Kirk bourbon, Montgomery Scott scotch, and Dutch bourbon. There’s no telling how it will taste, though, especially since it’s a blended whiskey—which could be up to 80% neutral spirit (on a proof-gallon basis). If you’re a big Ray Donovan fan, however, flavor may not matter as much as novelty. Availability: 1,642 bottles; not available in the U.S. This single grain whisky was distilled at a now-closed distillery “that once stood at the heart of Scotland’s waterways,” according to the press release. Considering its name, the likely source is Port Dundas, which operated in Glasgow on Forth and Clyde canal until 2010. Notably, this whisky’s casks were mainly held in dunnage warehousing, which is unusual for any scotch but particularly so for a grain whisky. Availability: 2,157 bottles; not available in the U.S. This blended malt includes whiskies from the Highlands and was partly finished in a cask made of Scottish oak. These whiskies are the first launches in a new brand called The Whisky Works, helmed by Whyte & Mackay head blender Gregg Glass, that will focus on experimental expressions. Glass formerly worked at Compass Box, so his experience with blending and innovation is well-established. Both of these whiskies will debut at Whisky Live London and then be available exclusively from The Whisky Exchange for the next two weeks. Gary Crunkleton is one of my heroes in the service industry. He is very knowledgeable about spirits and makes sure his staff is well trained as well. When a customer comes into his bar, that customer is going to leave not only after having a great experience, but also most likely with some new knowledge about what he or she drank. Gary is also the person behind North Carolina law being changed so he could sell drinks from old bottles of spirits that he purchased from collectors. Even so, when Gary told me that he was expanding and opening a second “The Crunkleton” in Charlotte, I was skeptical as to how good it would be compared to the original bar in Chapel Hill. My experience has been that a second location rarely lives up to the original. Adding to the difficulty is that this second location is a two-hour drive from Chapel Hill. Gary would not be as available to oversee the place. After visiting the new location, I will have to say that Gary has pulled it off in a top-notched manner. I recently did a Bourbon Country Institute at this new location and enjoyed it immensely.The Crunkleton, Charlotte is different than the original in that it is a restaurant and bar, not just a bar. Gary has chosen two local partners, Blake Thompson and Zach Goodyear, who are well experienced in the food industry. The third partner, Rob Hord, is a financial partner, and Gary speaks highly of him. The four partners have established a restaurant bar that they should be proud of. North Carolina is a control state, but Gary has put together a bar that is as good as anything in Kentucky as far as selection of Bourbon and Rye is considered. There is also a selection of vintage whiskeys that will grow as the restaurant continues. Blake and Zach have opened a restaurant that has great cuisine and a wood-fire kitchen, visible to the dining area. The BBQ served at lunch was excellent — chicken and pulled pork. The sides were mac and cheese and baked beans — both very good. The dinner menu has a wide variety of dishes at a range of prices. In the open kitchen we saw the staff prepping giant tomahawk steaks that could feed two or more people.The staff in Charlotte is new to Gary and he is still training them — one reason I did the class in Charlotte. Even so, I could tell that Gary has spent time with them and they have a better than average knowledge of whiskey. Rosemary and I had excellent Manhattans after the class, indicating to me that they know how to make good cocktails.Gary does not use whiskey tasting glassware at the bar. He has found that it is too expensive as branded Glencairn glasses seem to walk out with customers. Gary is not the only person to discover this fact, but it is a shame. Experiencing a vintage whiskey really is better in a whiskey tasting glass. They do offer flights and the prices looked reasonable.In my scoring of the new The Crunkleton in Charlotte I would start by giving it 2 points for selection. I would give them another 2 points for staff training. I would give them 1 point for the generous pours and another 1 point for the well-made Manhattans and cocktail menu. The atmosphere of the restaurant/bar is very relaxing and friendly so that is worth another 2 points. This gives them a total of 8 points. I have a feeling that when I go back there in the future, they will worked out the kinks in the new business and score even higher. So which is right?Well – purely anecdotally, mind you – I’ve heard that in certain parts of the U.S. South illicit liquor may be found in little mason jars in some folks’ freezers. It is apparently much easier to imbibe at sub-zero temperatures, then if the little jar had been left out on the counter. There’s actual science to back that up. The ‘heat’ of beverage alcohol comes from the ethanol molecules triggering the nerve endings that respond to heat, and those in turn send a pain signal up to the brain. The higher the concentration of alcohol, the more the burn. Secondary compounds common in whiskey from the grains and the barrel act to exacerbate the effect. But the human brain doesn’t like contradictory information, so a cold beverage which triggers the nerves in the opposite direction will actually cancel out the perception of heat in the brain. So that frozen ‘shine doesn’t seem quite so hot! Ergo, ice = more enjoyable whiskey. But what about that dilution, I hear some people cry?Dilution does, in fact, dilute the flavor of whiskey – in certain circumstances, but not in all.A common tradition in Scotch is to ‘open’ a whisky by adding a few drops of water. Possibly inspired by the debate (or possibly to expense some whisky), in 2017 Björn C. G. Karlsson and Ran Friedman published a molecular analysis of dilution in whisky. Long paper short:Thus, the taste of guaiacol and similar compounds will be more pronounced when whisky is further diluted in the glass. This taste-enhancement is counteracted by the dilution of guaiacol’s concentration. Overall, there is a fine balance between diluting the whisky to taste and diluting the whisky to waste. This balance will depend on the concentration and types of taste compounds that are characteristic for each whisky. Similar considerations can be used to optimise the alcohol concentration of other spirits including gin, rum and brandy.So a Bourbon and Branch isn’t a bad thing, to a point.In order for the opening effect to work (and not to take the whisky to waste), there must be specific types of taste compounds present at sufficient concentrations. It would seem then that, in general, higher proof whiskeys with high flavor potential are the best candidates for enhancement with water. Any whiskey, but especially the high proof variety, may benefit from the heat reduction induced by coolness. Individual mileage may vary.When manipulating dilution and temperature in whiskey, “on the rocks” often offers the best of both worlds, with both a reduction in heat and an increase in flavor as long it doesn’t wash out. One option occasionally presented by bartenders is the ‘chilled and strained’ mechanism of stirring or shaking spirit over ice, then straining it and presenting it neat, preferably in a chilled glass. Another method is to use a large ice cube or sphere, with the latter having a smaller surface-to-volume ratio that will cause less dilution. The bigger the ice chunk, the better because the greater the thermal mass, the slower the melting.If you’re playing along at home, remember that the quality of the water matters when making ice or adding it directly to whiskey. Tap water usually contains off-flavored compounds, so try using pure spring or distilled water instead.